The idea of a fourth entry in the long-dormant Ocean's Eleven franchise is hardly exciting...until you look at the cast for Ocean's 8. Sandra Bullock, Cate Blanchett, Anne Hathaway, Mindy Kaling, Helena Bonham Carter, Awkwafina, Rihanna, and Sarah Paulson. Yes, please! And you know what? The trailer doesn't look half bad, either. Let the thieving fun begin. Directed by Gary Ross and co-starring James Corden, Richard Armitage, and Damian Lewis, the film finds Debbie Ocean putting together her own all-star team of crooks to rob New York City's Met Gala. Do we really need to know anything else? It's a shame that the two highest-profile female-driven movies of the past year have been followups to male-led properties, but anything that puts this group together is okay by me. 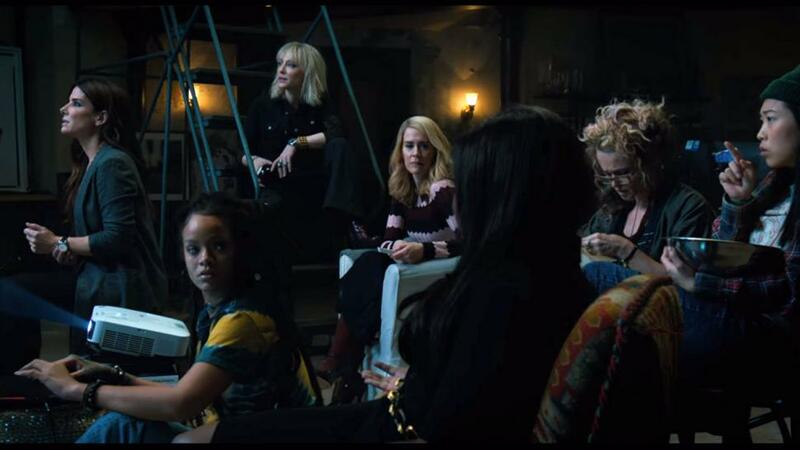 Ocean's 8 opens June 8th 2018!